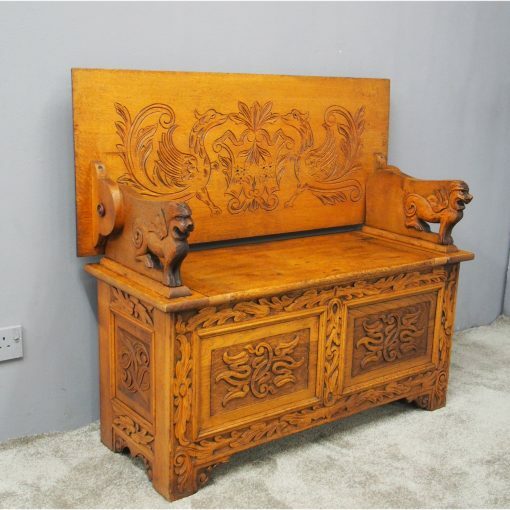 Circa 1900, golden oak monks bench. 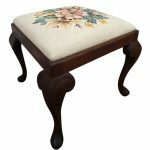 The rectangular top has moulded edges with foliate carvings on both sides, and converts to a table. 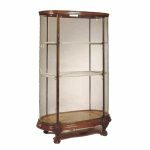 It has a lift up seat above generous storage, and the base has foliate carved front and sides.